If you are a watch lover and an Apple fan, there are high chances that you might overly enjoy the new Apple Watch Series 3. Lately, because technology has entered each and every side of people’s lives, smartwatches started to be very popular. Connectivity is the key in times where everything is happening fast, and information must be transferred quickly from one device to another. Gadgets are there to make each task much easier than it is in reality. Even though many people consider telling time the only function of a watch, a smartwatch overcomes all the expectations one might have upon this type of gadget. Everyone knows that Apple is one brand that always knows how to promote their devices, so there is no wonder if you’ve previously heard about Apple Watch Series 3, especially if you bought other versions of this product. It all begun somewhere around the year 2015 when the first Apple Watch was launched. Since then, improvements were gradually added to products until they finally released something completely worth buying, without any second thoughts. The feature additions to the Apple Watch Series will surely make anyone who’s in love with gadgets of all kinds to desire to at least try it, if not purchase it. 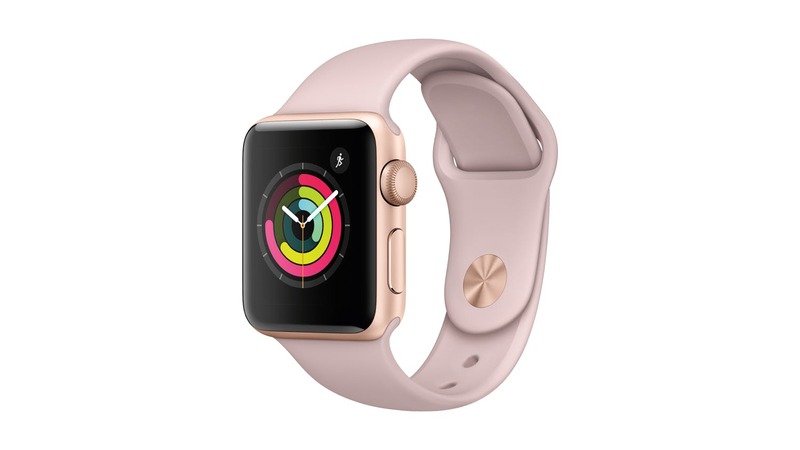 You can check it out and decide what your opinion is about this product, but until then, read some information related to the features and the ways the Apple Watch Series 3 can be used. If you desire to buy a product that will perfectly fit the iPhone you already own, then you should definitely opt for the Apple Watch. The features it offers, especially the fitness tracking ones, can be life-saving for you. Everything will become much easier than it currently is. Starting with the very beginning, the Apple Watch Series 3, like the other releases as well, is amazingly beautiful. It fits well with anything that you are going to wear, from sports clothing to an elegant, casual outfit. There are a lot of competitors out there that could make you want to buy a different smartwatch, but none of them got the signature look that Apple managed to bring in. Many things happened since the apparition of the first-gen Apple Watch, meaning that the user no longer has to struggle with glitches, slow apps, and many bugs. Apple thinks about this device as a little gadget that’s supposed to replace (or to duplicate) all the capabilities of a phone. Even though that’s very difficult to achieve, the Apple Watch Series 3 comes with several features that slowly reach reality. The smartwatch comes with a powerful processor and a new software version, called WatchOS 3. Besides being extremely useful if you’d like to track your activity and replace certain actions you would access your iPhone for, the Apple Watch Series 3 comes with a water-resistant function, meaning that you can use it during your pool swims or showering. For sports lovers, the Apple Watch is ideal. Not only that it tracks all your physical activity and syncs it to your iPhone, but it also has a powerful, updated GPS system included. Going outside without your iPhone and having your smartwatch tracking your walking/running distances is perfect. Compared to the previous versions of Apple Watch, the Series 3 impresses with performance, battery power, easy use and its iconic design. 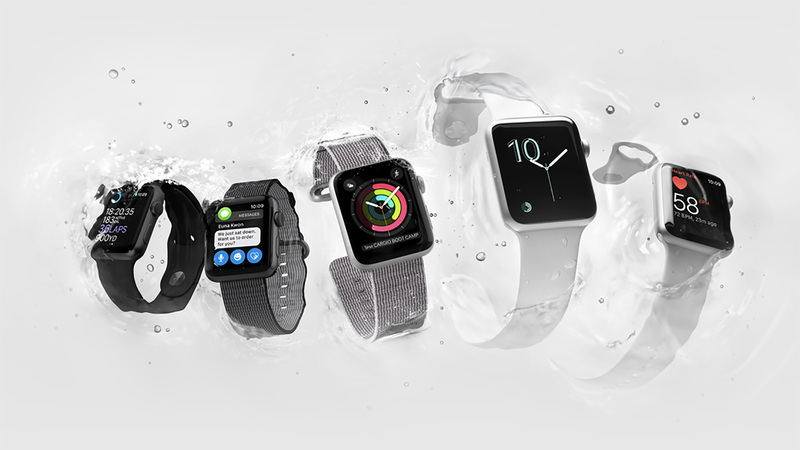 Even though many people consider that the capabilities and performances of the previous Apple watches are similar, the Series 3 outruns other versions of the product. It got the looks, the functionality, the price – everything that a user would desire from a smartwatch. Of course, not everyone has the same opinion and there’s nothing wrong with that. This is the reason why comparison and differences are present, to help people make a choice when it comes to such a gadget. Other types of products like Fitbits, Jawbones or Garmins are pretty popular on the streets, especially for the users in love with sports and with the capability of their devices to ease their tracking process. Depending on each person’s preferences and tastes in terms of both looks and performance, the competitors are offering products that are worth looking into. It all depends on the reason why you are buying a smartwatch or a gadget that is purposed in this direction. The decision is all yours and there’s nothing in this world to influence that. No one said that the Apple Watch Series 3 is perfect. Like any other product out there, it has some downsides that you must know about. Yet, these are also relative, and you may not consider them obstacles or inconveniences when it comes to using it. One first drawback that you might be interested in is that the Apple Watch tends to stay blank sometimes, meaning that you won’t be able to see what time is it. The same happens with certain apps that cover the entire display while running, so the time feature fully disappears. Since it’s called a smartwatch, it is quite ironic that it won’t show the time, but it’s very likely that Apple will solve this problem with a simple OS update in the future, so no reason to worry. Another drawback would be the fact that Apple watches look all the same, no matter the generation, so no improvement is implied in this direction. The last drawback would be the fact that you can do everything you will do with a smartwatch by simply using your smartphone. Some people simply buy it because it looks luxurious and beautiful on their wrists while other people buy it for comfort and the fear that they might lose their phone by using it so often while jogging. 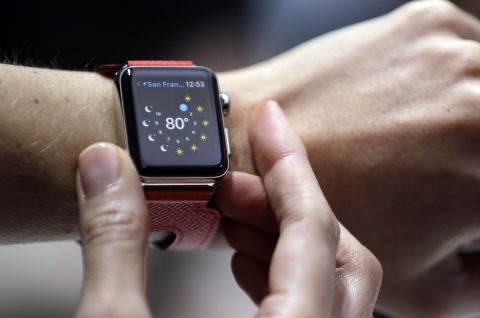 It is convenient to buy an Apple Smartwatch if you know for sure what your purposes are. It is money well-spent the moment you find a good use to it in your daily life.